CLEVELAND/NEW YORK, July 22 (Reuters) - At times, the speech was drowned out by the cheering crowds in the arena of the Republican National Convention. Social media crowned a new political star. Some Republicans said they were seeing the U.S. president they longed for. It was Ivanka Trump's night. The eldest daughter of New York businessman-turned-presidential nominee Donald Trump almost stole the show on Thursday night with a speech about her father that roused a packed Cleveland convention hall, broadcast to millions. On Google, there were more searches for Ivanka Trump than for her father. The 34-year old businesswoman and former model talked about her father's yearning to improve America, childcare, equal pay for women and other issues close to her heart, with a poise some found befitting of the White House. "Okay, why isn't @IvankaTrump running for President?" television actor Anson Mount said in a Twitter post. "One of the best speeches - if not the best speech - tonight," said Chris Herrod, a 50-year-old delegate from Utah who had worked for Trump's vanquished rival Ted Cruz, the U.S. senator from Texas. One of Trump's five children, Ivanka was chosen to introduce her father, who then officially accepted the Republican Party's presidential nomination. Since Trump announced his intention to run for the White House last year, she has been steadily drawn into her father's presidential campaign along with her 35-year-old husband Jared Kushner. The couple both take part in the Trump campaign's "family meeting" each Monday morning, helping make decisions about spending and strategy, according to a source familiar with the meetings. Among the children, Ivanka is the one who is often the bridge to women voters and seems to have the mission of selling her father's softer side. When she is not involved in the campaign, she helps to run the family's sprawling business empire from its New York City headquarters. This week in Cleveland she has been everywhere, lobbying for her father with delegates and donors, appearing in television interviews and leaving a trail of picture-taking fans in her wake. One man, a Republican delegate in Cleveland, carried a placard all week around the convention that read: "Ivanka, 2024. First Female President." Her star turn in Cleveland was one of the top trending topics on Twitter late on Thursday, with about 121 tweets mentioning her name posted every minute. 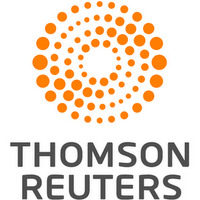 Overall sentiment on her was more positive than negative by a ratio of 3 to 1, according to analytics firm Zoomph. Ivanka missed her one chance to date to vote for her father: she had not changed her party registration from Democrat to Republican in time to cast a ballot in the April 19 New York primary election. She more than compensated on Thursday night, some convention delegates said. "She gave us enormous insight into him and the kind of man he is," said retiree Fernando C. deBaca, a 78-year-old New Mexico delegate. "She's (an) enormously capable young lady, as is her brother. We're going to see the beginning of a dynasty here." in the 18 months i spent around donald trump i never once saw ivanka trump in his office and i never heard him once mention her name. This speech is great. What Ivanka is saying is great. But her dad's running. And her dad doesn't believe in any of this. 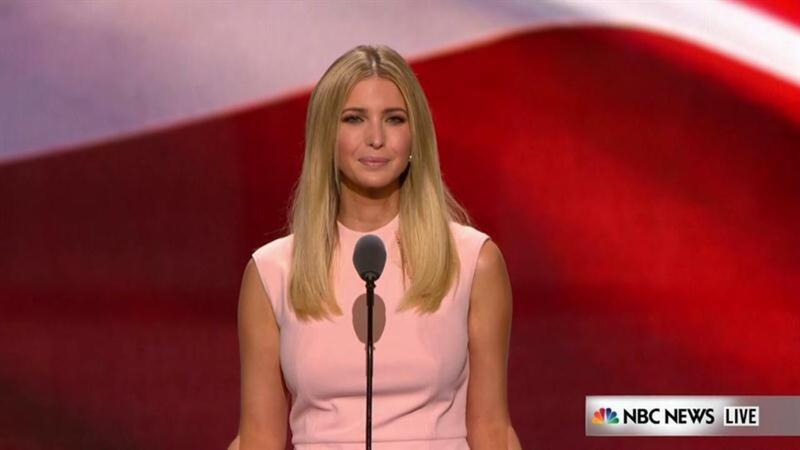 Ivanka Trump did not mention Hillary Clinton once during her RNC speech. Equal pay and childcare. Ivanka Trump's intro of her dad at the RNC is ripped right from the Dems playbook. Can this close the gender gap?